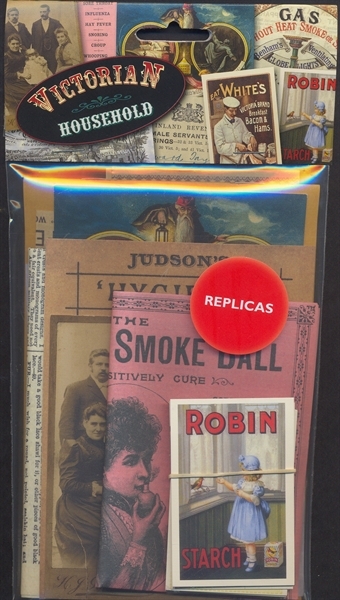 Replicas of original materials from Victorian Households. Our memorabilia packs contain replicas of original material from the period, are similar in size (25cm x 13cm), and they are designed, printed and collated in the UK. Each item in the pack is carefully scanned and printed as close to the original as possible, resulting in a carefully selected mix of items, producing a sense of ‘being there’ for the reader. 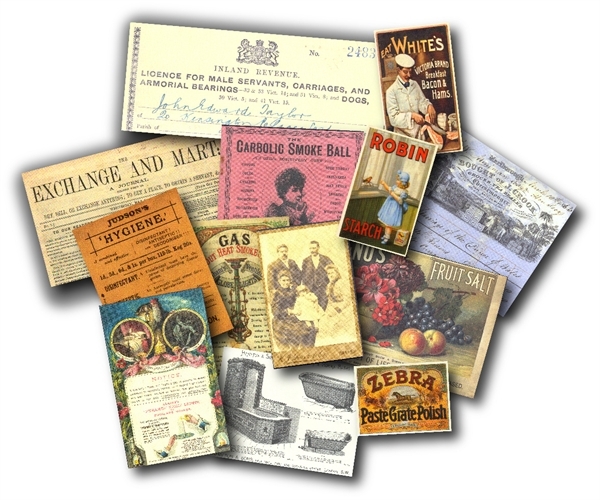 Contains: Exchange and Mart newspaper, servants licence, carbolic smoke leaflet, household furnishings brochure, Water Purification booklet, Gas lighting advert, cabinet makers invoice plus selection of advertising cards.